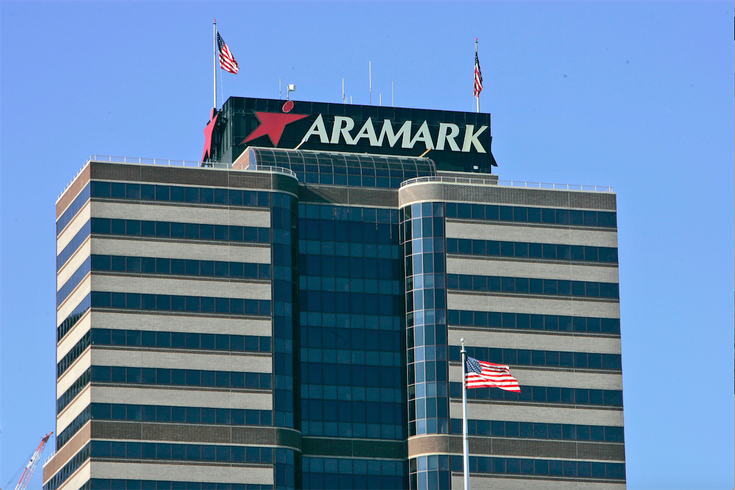 Aramark, one of the largest public businesses in Pennsylvania, announced on Thursday that the company's global headquarters will remain in Philadelphia. “This is an exciting time for Aramark as we capitalize on every opportunity to better serve our clients and accelerate our growth and success,” Eric J. Foss, chairman, president and CEO of Aramark, said in a statement. A specific location for the headquarters is still to be determined. Aramark's lease for its current space at 11th and Market streets expires in 2018. The company has not ruled out a new location. A decision is expected by the end of the summer. The company is the largest provider of facility services and uniforms in the United States and employs more than 14,000 workers, including more than 6,500 in the Philadelphia area. Gov. Tom Wolf praised the decision. "I am pleased that Aramark will continue to call Philadelphia home ... The decision to remain here is good news for our workforce and Pennsylvania's overall economy," he said. Aramark had considered relocating outside the city when its lease expired, according to a March report from the Philadelphia Business Journal. The city's overall business environment, access to talent, costs, diversity, transportation and quality of life were touted as reasons for the company's decision. “We look forward to completing the final step of this process and setting the stage to continue Aramark’s success legacy in Philadelphia and across Pennsylvania,” said Foss. Aramark was formed in 1959 and has been based in Philadelphia since 1961.